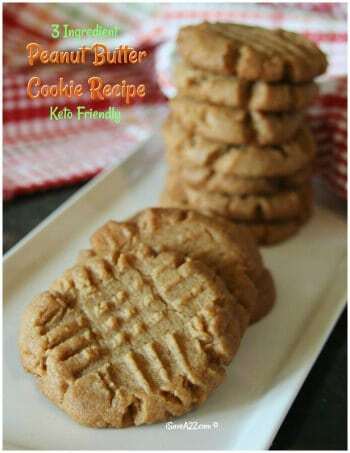 Here’s a recipe we enjoy every single time we make it! 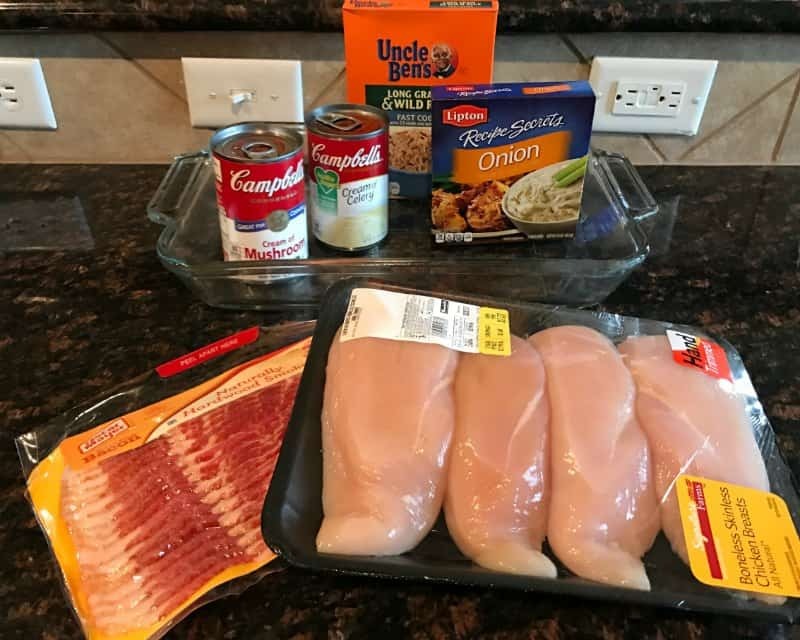 It’s our Easy “No Peek” Chicken Casserole Recipe! The hubby is a meat and potatoes kinda guy and he requests this dish often. He’s even gone as far as asking for me to tell him how I make it just in case he makes dinner that night. No peek chicken is easy, and delicious. I also have a crockpot version of this recipe and I plan to write that recipe up in the next week or so. Stay tuned! 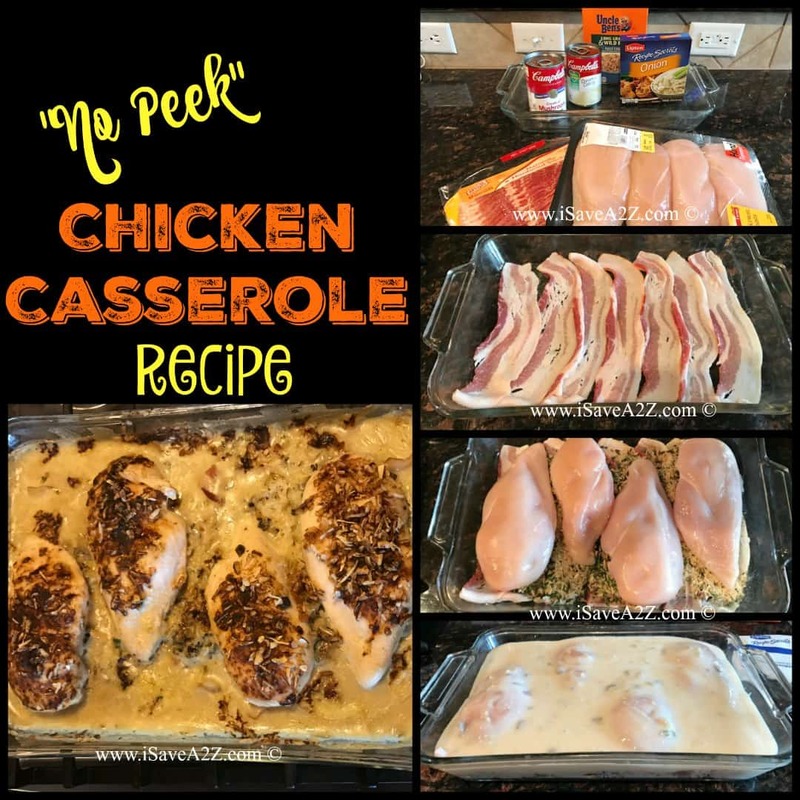 There are a couple of different ways to make this Easy “No Peek” Chicken Casserole Recipe so I will give you all the different variations we’ve tried. We love them all so it’s hard to say which one is a favorite. It all depends on your tastes and if you like bacon or not! We list bacon as an optional ingredient but to us, bacon is never just an option. It’s a MUST! There are two optional ingredients for this recipe. 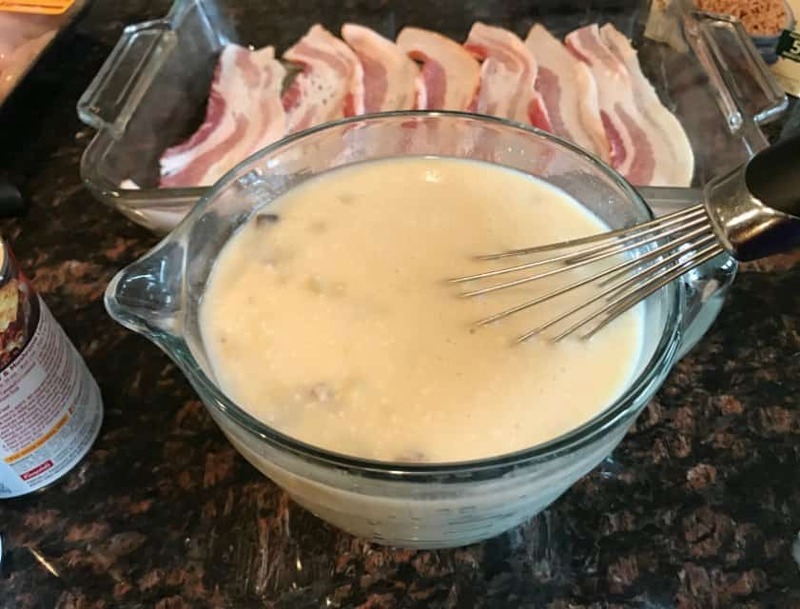 It’s the Onion Soup Mix and the bacon. 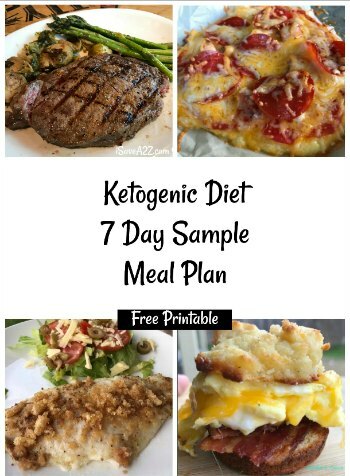 You don’t have to make this recipe with either. We love the different varieties so we make it with one or the other at different times. 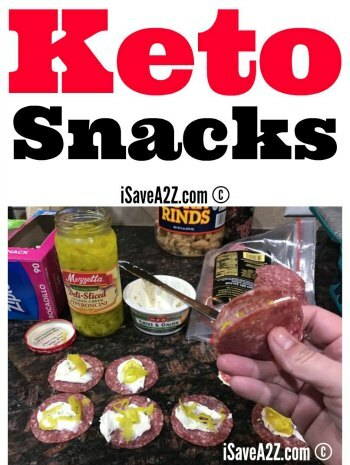 Both ingredients add extra flavor! 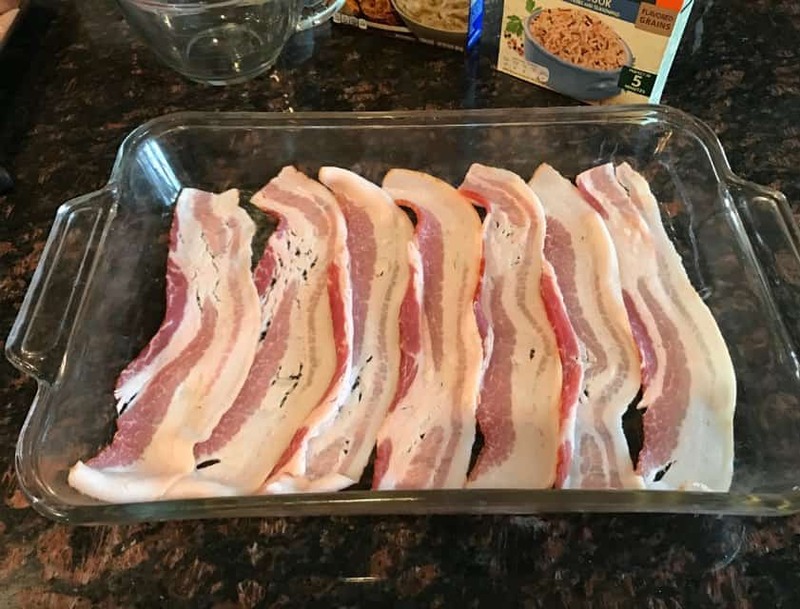 In a greased 9 x 13 pan, layer the bacon. Next, pour the box of Uncle Ben’s Long Grain Wild rice with the season packet first over the bacon. In a small bowl, combine the cans of cream of celery soup, cream of mushroom soup and water. Whisk it so all the ingredients come together. 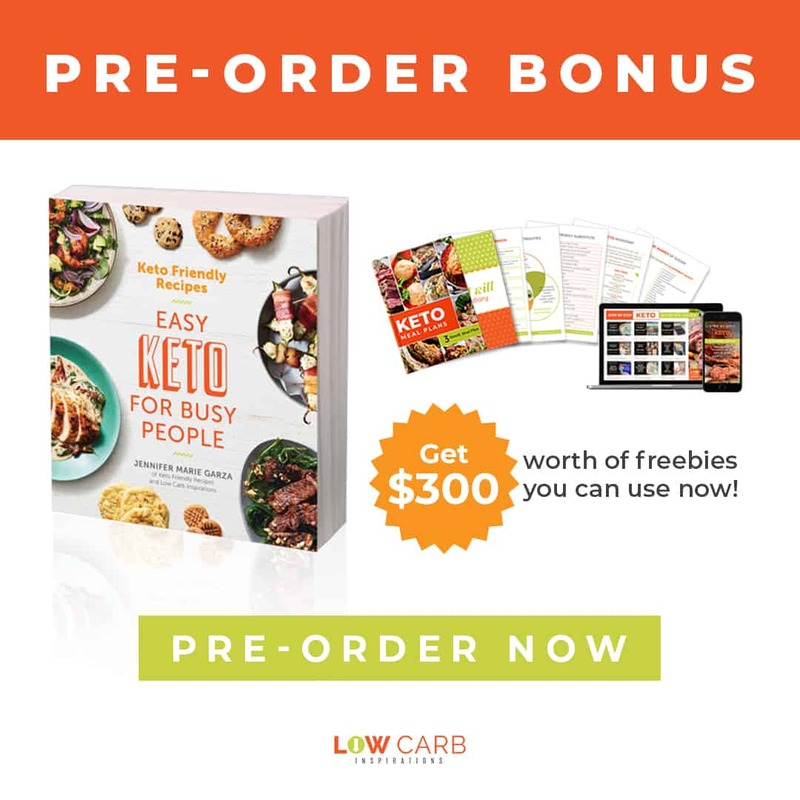 NOTE: If you decided to double this recipe cut back on the water and only use 3 cans of water with the doubled ingredients instead of 4 cans of water. Arrange the raw chicken on top of the rice. Sprinkle the onion soup dry mix over the top of the chicken. Cover the casserole with foil and bake it. 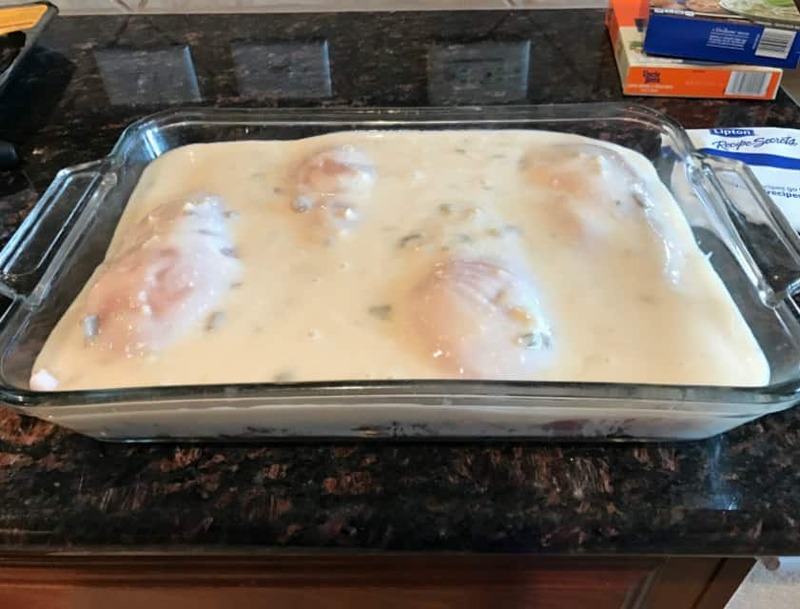 If you are making this dish with big chicken breasts, then bake it at 350 degrees for about 1 1/2 hours and “Don’t Peek!” If you are making this with chicken tenders, then you only need to bake it about 45 minutes to 1 hour. 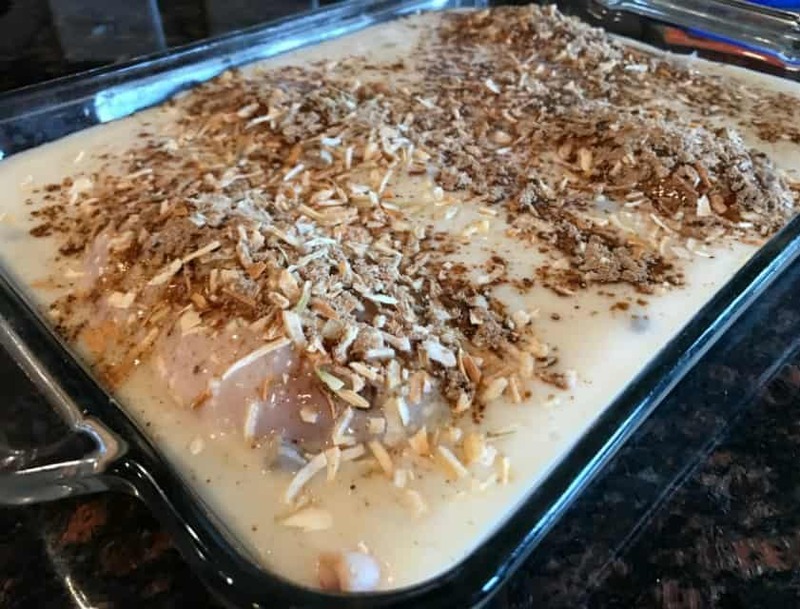 Each oven baking times tend to vary so just make sure the chicken is done in the center and the rice is soft when you pull it out of the oven. Your house will smell amazing!! Seriously, the kids will come out and ask you when dinner is ready! 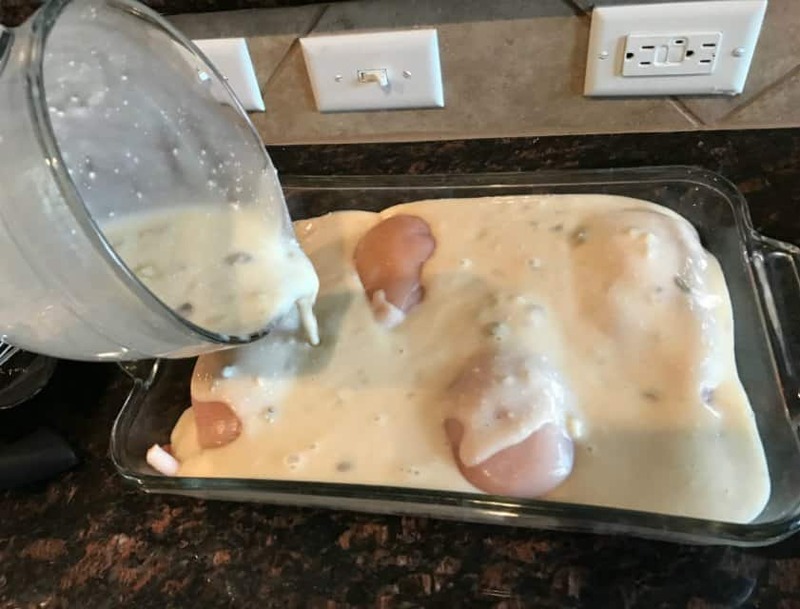 They will learn the smell of this recipe. If you use bacon, this recipe will not come out greasy as you might expect. But if you use chicken with the skin on it, it may come out a bit greasy. 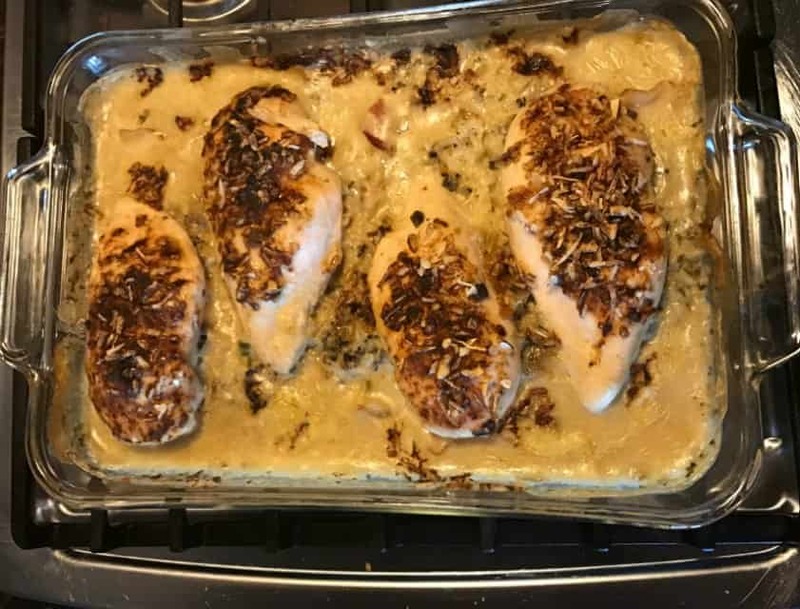 I like to make this recipe with chicken thighs but I remove the skin or buy the skinless chicken thighs for this recipe. 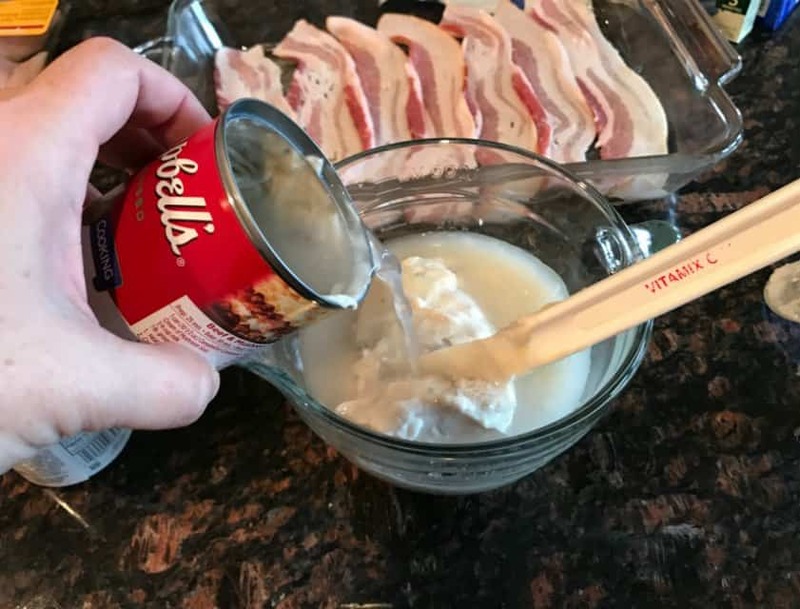 I rarely make this recipe with the onion soup and the bacon at the same time. It borders as a bit too much salt for my taste. I don’t like a lot of salt. I often do just one or the other is my preference. I’ve also been known to add some mushrooms into this dish too! I might chop up a small onion if I am not using the onion soup mix. It all depends on what I have on hand and if I feel like adding these extra optional ingredients. 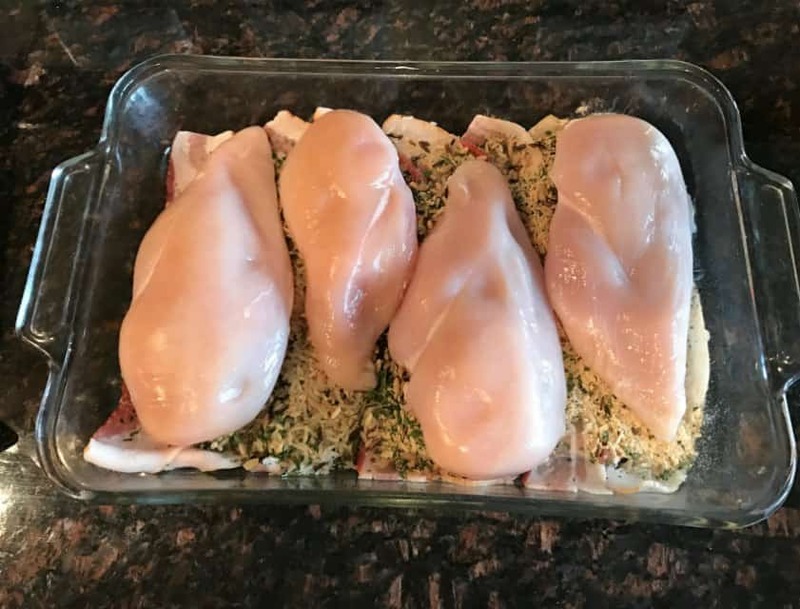 I’ve wrapped the bacon around the chicken breasts instead of layering it on the bottom of the pan too. Both ways come out the same as far as the taste of the dish. Layering the bacon on the bottom is easiest for me. 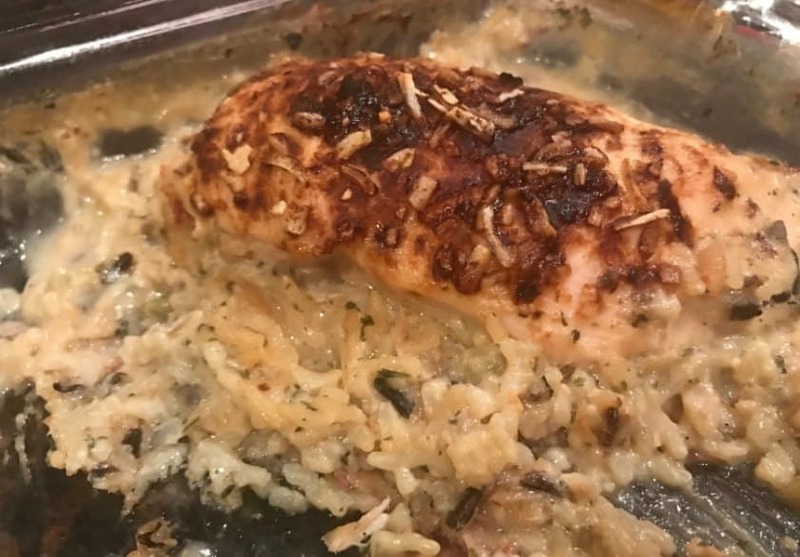 We hope you enjoy this Easy “No Peek” Chicken Casserole recipe as much as our family enjoys it! 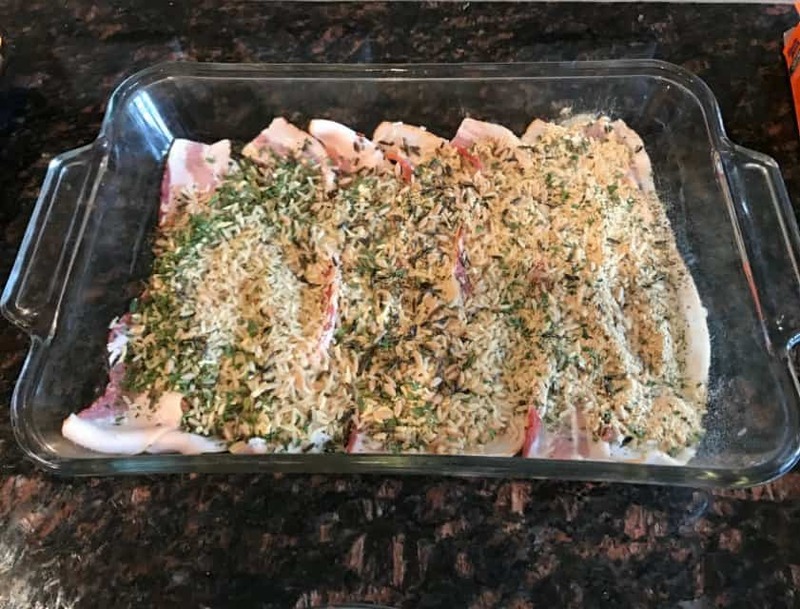 By Jennifer on December 20, 2016 Casseroles, Chicken recipes, Main Dishes, Recipes. Do you cover it with foil prior to putting in oven? NVM, I re read the recipe. Sorry! 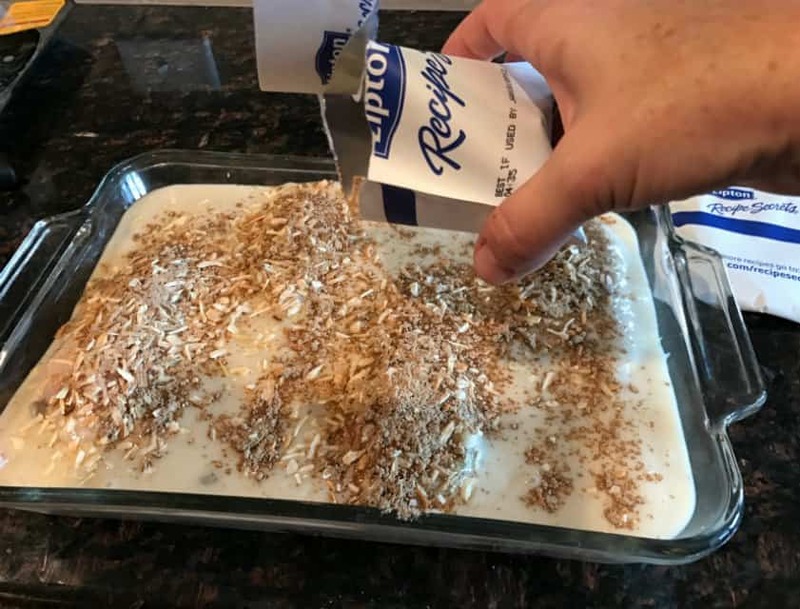 You directions say to bake covered w/ foil but the photo of the finished dish appears to have been baked uncovered rather than covered. i baked covered but it came out much too runny. Will try uncovered next time. Can I use a metal pan instead of glass? I’m doubling this and I don’t think it will fit in my glass pan. I have a celery allergy, do you think I could replace that for cream of chicken or should I just do 2 cream of mushroom? Thank you! I think you could do either one of those. I bet they would taste great together! 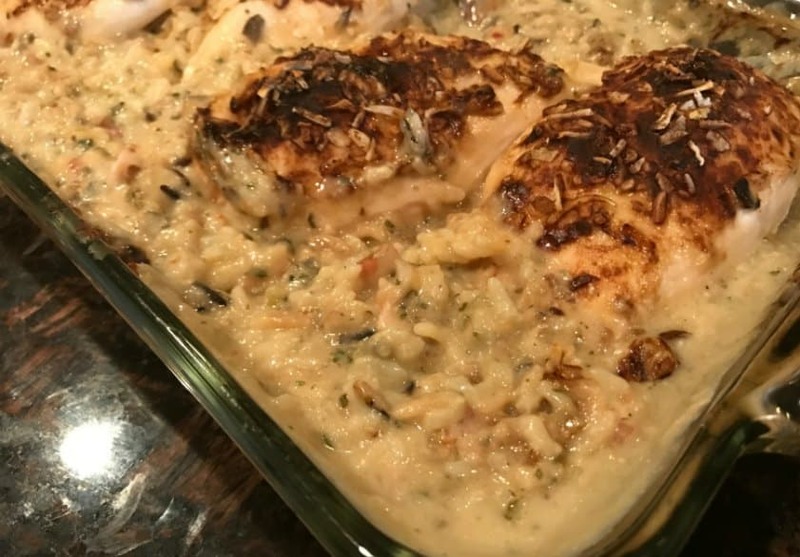 I make this but I cut up a whole chicken or thighs 2 cans cream of chicken soup 1 can of white or brown rice Mike soup, rice, water together pour over chicken then top with onion soup mix. Today we are trying this recipe. Doesn’t the bacon come out soggy? The bacon is fully cooked. Not soggy but not crispy either.